In an effort to get myself running more I decided to start doing a runstreak again. What's a runstreak? 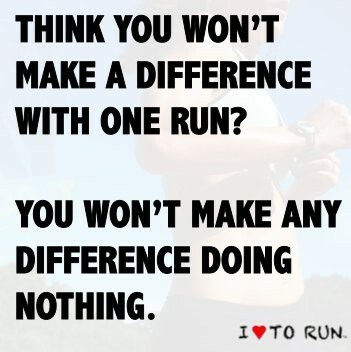 Running at least one mile a day every day. Once I run today I will have been doing it 14 days. Two weeks. I'm finally starting to get to the point where my mind can wander a little bit away from the fact that I'm running. This week I mostly ran 1.5 miles for my runs except for Friday when went to the A's game. Next week I'm going to focus on making it 1.75 miles. I figure if I keep bumping it up a little each week eventually I'll be where I want to be. Once I get to a higher mileage then I'll switch off lower mile days with higher but for now 1.5-1.75 is not really that much to do every day. Great attitude Julie, you can do it!